This is a 1971 ad for a Pennsylvania Dutch Egg Noodles! The size of the ad is approximately 8.5x11inches. 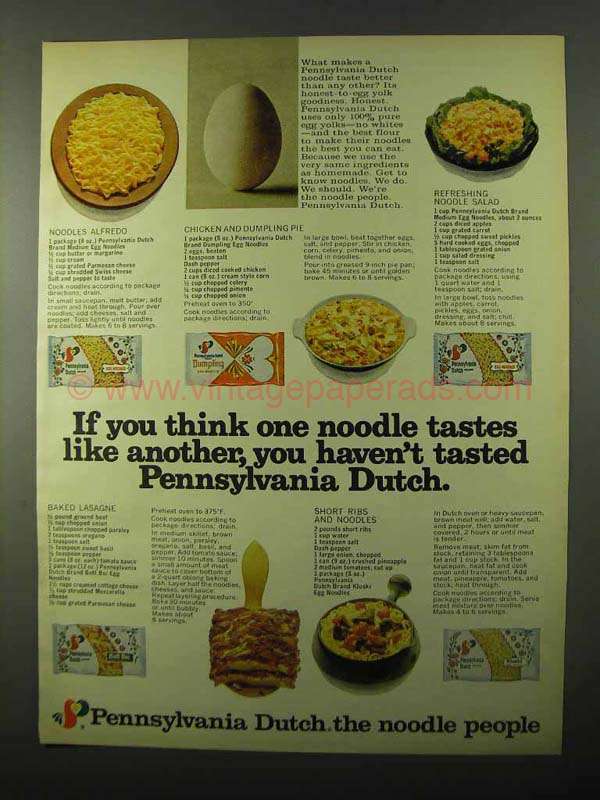 The caption for this ad is 'If you think one noodle tastes like another, you haven't tasted Pennsylvania Dutch' The ad is in great condition. This vintage ad would look great framed and displayed! Add it to your collection today! 1984 Lipton Noodles & Sauce Ad - Saucy!